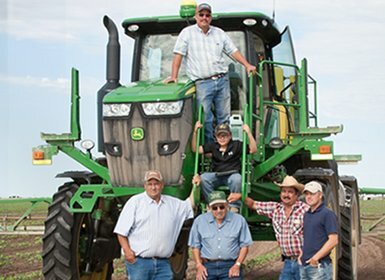 Whole Farm Management - AgriEdge Excelsior | Syngenta U.S.
AgriEdge Excelsior is for resourceful growers seeking to enhance productivity. This proven whole farm program combines secure data management across digital platforms and innovative product choices for every crop. It provides trusted on-farm service with the opportunity to earn financial rewards and helps growers maximize and sustain their return on investment. 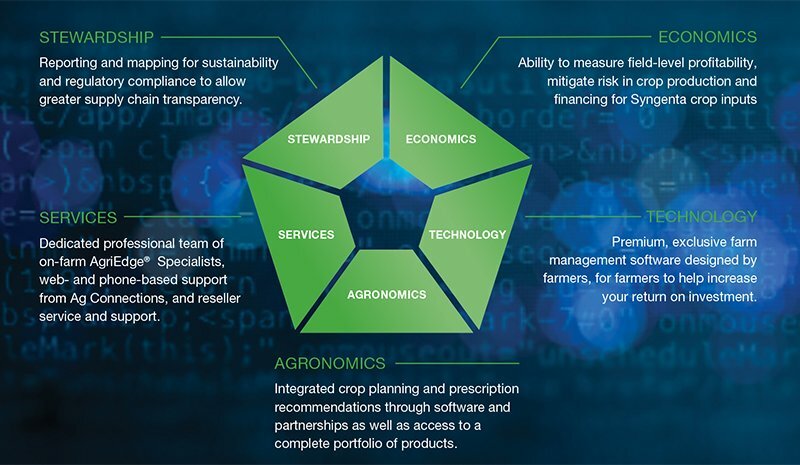 AgriEdge Excelsior is focused on empowering partners to make better decisions and gain a competitive edge through the powerful integration of data, analytics and agronomic experience. Within the agriculture industry, growers have a lot of choices. So what separates AgriEdge Excelsior from the pack? AgriEdge Excelsior combines five components: economics, technology, services, agronomics, and stewardship. This integrated solution provides growers with a sense of confidence, knowing they are working with industry-leading software and a dependable team they can turn to for support. Backed by a privacy pledge and 90+% grower retention rate, there's reason to believe in this proven platform. All photos are the property of Syngenta or used under agreement. © 2018 Syngenta, 410 Swing Road, Greensboro, NC 27409. AgriEdge Excelsior®, AgriEdge® and the Syngenta logo are registered trademarks of a Syngenta Group Company. Land.db® is a trademark of Ag Connections, LLC.